While the laundry is not the most glamorous room, it is essential to any well-run home. For some homes, the laundry is a dedicated, multi-functional utility room, for others, the laundry is little more than a space tucked behind a cupboard door. 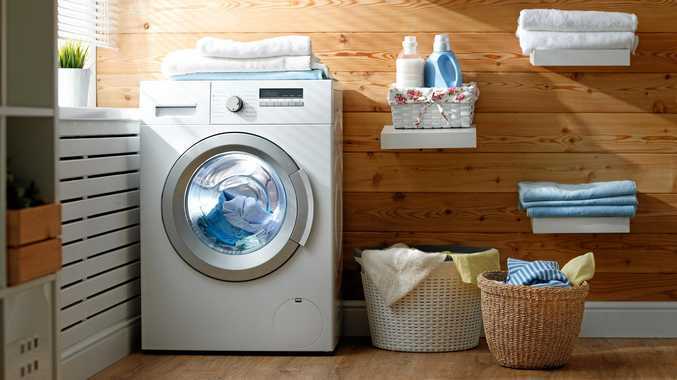 Regardless of the size of your laundry, there are strategies to ensure you make the most of this space. When choosing a washing machine and dryer, do your homework so you only purchase what you really need. For instance, large capacity washing machines are great for big families, but can be overkill for singles or small households, and expensive to operate. Another choice for some households is deciding whether or not you really require a dryer. Again, for large families, or those living in an apartment, they may be a necessary evil. But for couples or singles, these high energy- consuming appliances can be a luxury neither you, nor the planet, can afford. Steam cleaners and ironers however can be an effective addition for household laundries as they are now readily available at reasonable prices. For space-poor laundries, a design tip is to raise your washing machine and dryer off the floor. This can be done with cabinetry that can also allow for storage space or a sink underneath the appliance. To transport laundry from bedrooms or bathrooms, there are many attractive laundry baskets to choose from. By choosing lightweight materials such as straw, jute, bamboo or canvas to store your laundry you will make it that much easier to move laundry from room to room.